14 Commercial Real Estate & Properties in Parkhurst are listed in 3 categories. We have 7 Industrial Warehouses Sale , 7 Development LandsSale and 1 Retail ShopsSale . 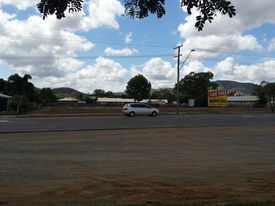 Motel Site Rockhampton $ 1.5 million plus gst. Superbly positioned industrial allotments, perfectly presented level and easy to build on in the thriving industrial area of Parkhurst. Activity in the region, largely due to the resources service Industries has been building steadily and businesses are turning their attentions to Rockhampton and surrounding areas. Now is your opportunity to secure Industrial land at affordable rates. Contact our office today to obtain more information. Presenting superbly positioned industrial allotments, perfectly presented level and easy to build on in Rockhampton's thriving Industrial area, Parkhurst. Activity in the region, largely due to the resources service industries has been building steadily and businesses are turning their attentions to Rockhampton and surrounding areas. Now is your opportunity to secure Industrial land at affordable rates. Contact our office today to obtain more information. Motel Site, North Rockhampton Offers to Purchase - clos..
Large Industrial shed of approx 2099m2 on large one hectare site presently rented at $9000 per month + GST + Outgoings. Easy access from the Bruce Highway to the site and situated opposit the QMAG plant. Located in Rockhampton's industrial area catering for the growth in resources sector. This allotment of 8094m2 has a DA Approval for "Aggregate Rock Storage and Sales" and has a wide frontage of 141 metres to Wade Street. Good level allotment in the heart of the industrial precinct of Parkhurst. Copy of DA Approval available. High set three (3) bedroom home Located on Highway number 1 and Olive Street. Ideal for Fuel and Food Service Station. Opposite Stocklands Proposed Residential Estate.